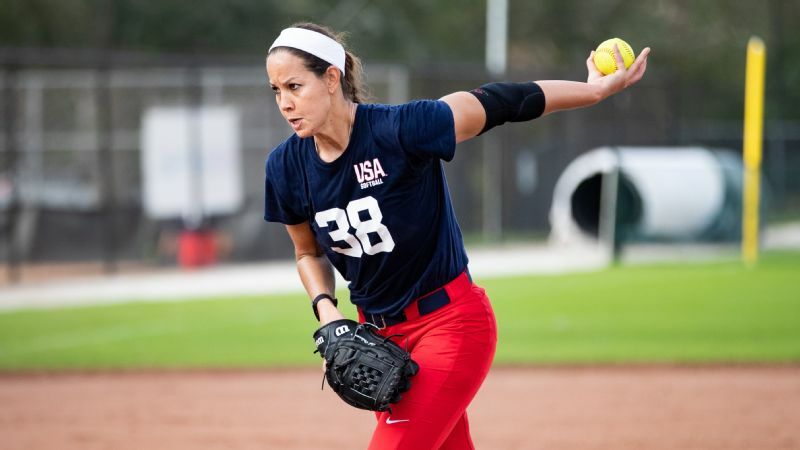 Lefty pitcher Cat Osterman was one of 18 players selected for the 2019 USA Softball national team. 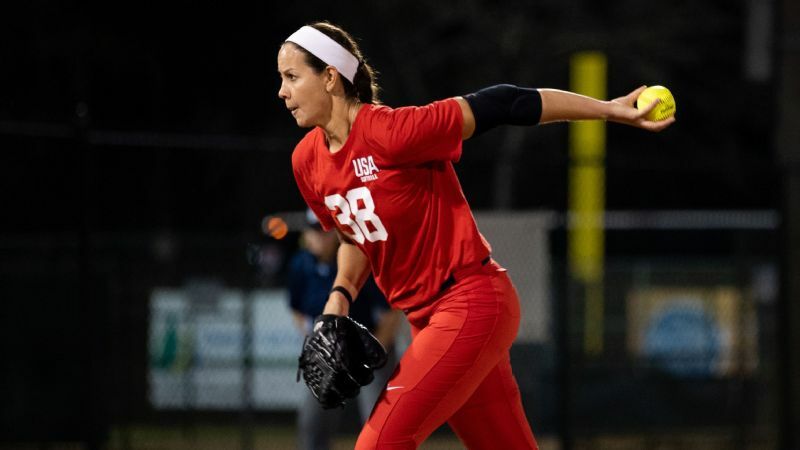 USA Softball named Monica Abbott and Cat Osterman to the national team roster for 2019 on Monday, reuniting two of the best pitchers in softball history for the first time in nearly a decade as Team USA continues to prepare for softball's return to the Olympic program in 2020. Abbott and Osterman were among 18 players selected after a five-day tryout camp in Florida that concluded Sunday. Team USA will compete in games still to be determined before the roster is winnowed to 15 players for the Pan-American Games in Peru in July and August. While there will be a tryout process next year, history suggests the current group will likely form the core of the 15-player roster that competes in the Olympics next year in Tokyo. It is the sport's first appearance in that event since the U.S. lost the 2008 gold medal to Japan. The U.S. qualified for the 2020 Olympics by winning the 2018 WBSC World Championship. 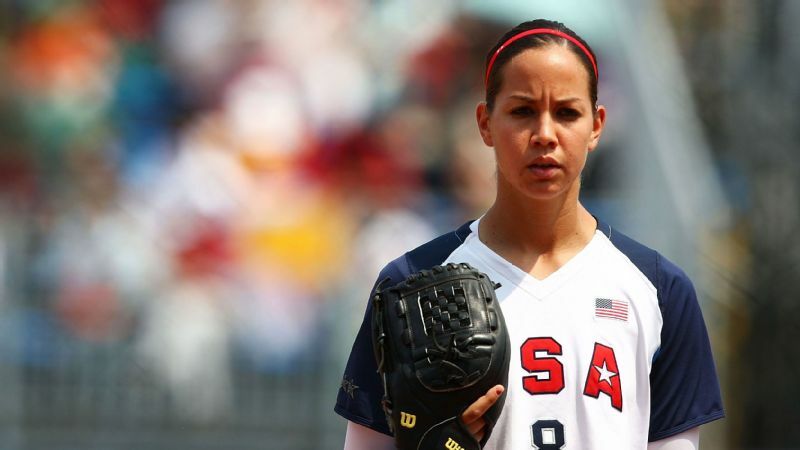 Osterman, an Olympic gold medalist in 2004, when she was the team's youngest player, and a silver medalist in 2008, retired from international competition following the 2010 world championships and retired from professional softball after the 2015 NPF season. Now the pitching coach at Texas State, the 35-year-old left-hander announced a comeback this past fall. 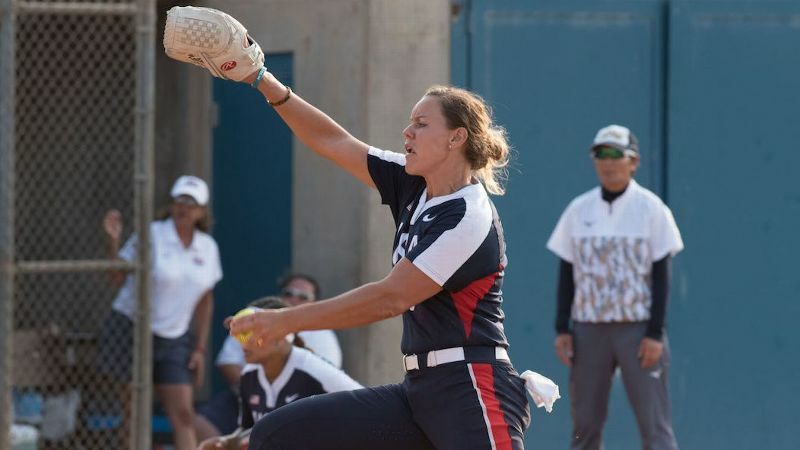 Osterman rejoins Abbott, who never retired from professional softball in both the U.S. and Japan, but stepped away from international competition after 2010 before she returned to Team USA last summer and led it to the world championship. Abbott and Osterman rank first and second, respectively, in NCAA career strikeouts, while Abbott remains the all-time leader in wins and Osterman the leader in strikeout rate. Their teams also met for the NPF title on five occasions. 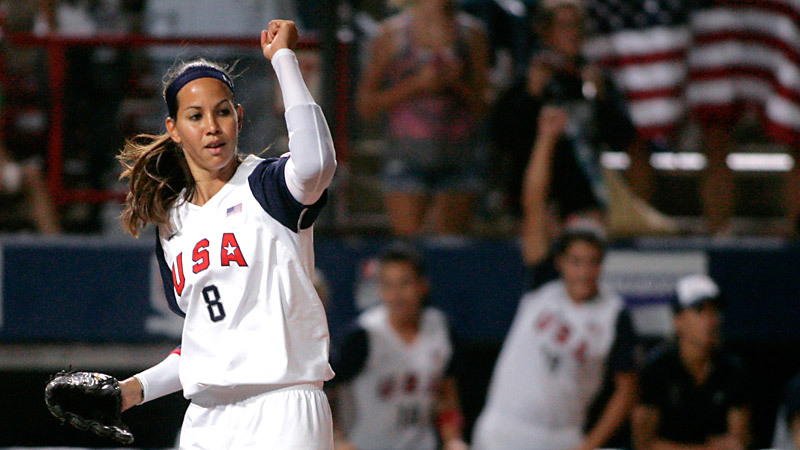 The two pitchers are the only remaining members of the 2008 Olympic team on the current roster. They are joined as pitching options by Keilani Ricketts, the former two-time college player of the year at Oklahoma who now pitches in the NPF and Japan's pro league, and UCLA's Rachel Garcia, the reigning espnW college player of the year. Both Ricketts and Garcia were members of last year's world championship team and both have the versatility to pitch and hit. The same is true of Ally Carda, another dual threat with UCLA ties named to the 2019 roster. 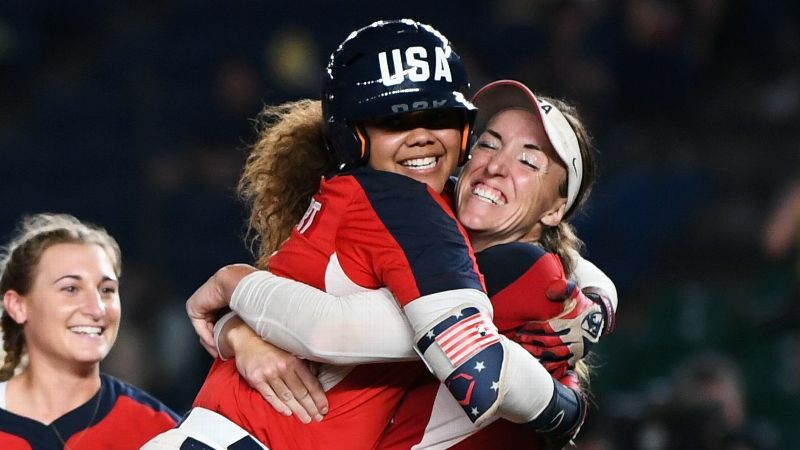 A world champion for the U.S. in 2016, Carda returns to the main roster on a full-time basis after playing for what amounted to USA Softball's secondary team last summer. Both Kelly Barnhill and Danielle O'Toole were left off the new roster after pitching for the team that won the world championship last summer. Entering her senior season at Florida, exclusively a pitcher, Barnhill had been a member of the national team since the summer after her senior year in high school. But with the U.S. committed to Abbott and Osterman as pitching-only players, and those two likely to handle a lot of innings, the selection panel appeared to place an emphasis on versatility with its remaining pitching selections. Ten position players return from the world championship roster, including eight of nine starters from the gold-medal game. Only third baseman Kasey Cooper was not selected for 2019. First baseman Valerie Arioto and outfielder Michelle Moultrie lead the returnees in continuous service time with Team USA. Both competed in the past four world championships, winning two silver medals and two gold medals in that time. Also returning is infielder-outfielder Kelsey Stewart, who delivered the extra-innings game-winning hit against Japan to win the world title last summer; Haylie McCleney, who led the team in hits, runs and total bases in that tournament; and the keystone combination of shortstop Delaney Spaulding and second baseman Ali Aguilar that helped win back-to-back world titles. In addition to Osterman and Carda, changes from a year ago include the inclusion of Shelby Pendley, a national team rookie but likely contender to start at third base after four successful seasons with the NPF's USSSA Pride, outfielder Jazmyn Jackson and catcher Dejah Mulipola.